Many people associate acupuncture and its use in the treatment of back pain. 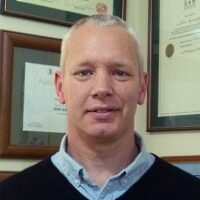 In fact, Dr John McDonald and Stephen Janz in their comparitive literature review for The Acupuncture Evidence Project included back pain amongst a number of other conditions that acupuncture is used for. The research trend in the Western world is more focused on the lower back as opposed to the neck, yet there are many neck problems that people suffer from that may benefit from acupuncture treatment. Some of these neck problems can include conditions like cervical disc herniation, wry neck, ankylosing spondylosis, rheumatism of the neck and even just a plain sore neck from unknown etilology. Listen to a radio interview with Ken Morrison, Heiko Lade and Hamish Reid talk about some of these neck conditions here. Other problems can originate from a neck problem such as shoulder pain or numbness in the upper extremities. A neck displacement or tight neck mucles can disturb sleep and cause one to wake with a headache or tingling in the hands. Another symptom often complained of by patients is a creaky and crepitatous neck. Sometimes it is described as a popping type sound in the neck vertebra as opposed to the sound of a crack that is encountered during a manipulation of the neck vertebra. A creaky neck can be caused by what is known as liver blood deficiency in traditional Chinese medicine terminology. The liver controlls ligaments and tendons and if the blood of the liver is insufficient to lubrcate and nourish the attachements such as tendons. The tendons become dry, so to say, and can’t hold the neck muscles in their correct place and the bones then creak. Liver blood deficiency can also cause people to wake up with a headache in the early morning. This is because at night the blood flows back to the liver to partake in a rejuvenation process which helps us in protection from catching colds and flu. As the amount of healthy blood is deficient, there is not enough blood left in the head during sleep leading to a headache. In cases like this, a simple Chinese herbal formula such as si wu tang may be useful in building up the blood. It is advisable, however, to consult with a registered or licensed Chinese herb practitioner to ascertain the correct diagnosis and obtain the most appropriate herbal formula for ones individuals needs. Sprained neck and whiplash are common injuries of the neck and acupuncture treatment for this is and many other neck problems are covered in New Zealand by the Accident Compensation Corporation, ACC. The ACC is a government owned and run insurance company specifically for injuries for the New Zealand people. There are over 700 members of Acupuncture NZ who are accredited tretment providers with ACC. 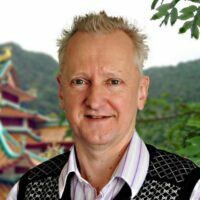 Heiko Lade has had over 30 years experience practising acupuncture in Australia and New Zealand.